Hi guy’s BBC2 here, we were asked by thesailorswoman if we had a recipe for baked rice pudding, a thing that takes me back to my childhood. I have never made one before so set about looking up different recipes and putting my own spin on the dish. Well, as BBC1 will no doubt tell you, it started to go wrong from the offset and the more I put in to rescue it the worst it got! BBC1 told me to phone my mother and ask her how to make it, I did and here it is. Put the rice in a sieve and hold under cold running water to wash out the starch, when the water starts to run clean put the rice into a large saucepan add the milk and sugar, put the pan on a medium heat giving a good stir ensuring that the rice does not stick to the bottom of the pan, add the evaporated milk and bring to a rolling boil for 5 minutes again ensuring that the rice does not catch on the bottom of the pan. Butter a large ovenproof dish and gently pour the mixture ensuring that the rice is evenly distributed evenly over the bottom of the dish, dot with the remaining butter and grate nutmeg over the top, place in the oven, after half an hour open the oven door and with a wooden spoon gently stir the rice trying not to sink the nutmeg but move the rice a little to stop it forming into clumps, close the door and leave for an hour, you can do the same thing again if you don’t like skin on the top or just leave it for the full cooking time, 1 ½ to 2 hour, with a teaspoon try a little of the rice to see if it is cooked, it may need a little longer depending on your oven, but when cooked we serve it with a dollop of strawberry jam. Oh and by the way we make our own vanilla caster sugar by placing a couple of vanilla pods in a jar and topping up with plain caster sugar, is a great use for the pods and you can use the sugar in a variety of ways. I’ve seen a few recipes on the web for making your own essence with pods and vodka but have yet to try that. Tags: baked rice pudding, caster sugar, dessert, evaporated milk, food, grated nutmeg, milk, nutmeg, puddings, recipe for baked rice pudding, rice, rice pudding, sugar, vanilla. Bookmark the permalink. A childhood favourite of mine, rice pudding in our house was made exactly to a 100yr old recipe published by Mrs Beeton. A little less sophisticated than your recipe, which looks delicious! “Ye Olde” recipes are amazing. We think we should all record our mother’s and grandmother’s recipes for posterity and deliciousness. Let’s face face it they knew what they were doing! If you try it or do your own thing please let us know!? I found it! (Yes, I’m slightly obsessed by rice pudding at the moment.) I had to go back month by month to May 2012 so it took a bit of effort. Sailors Woman, you are so sweet! He lucky to have you! It’s always good to have a taste tester, I have three in my house. I have never made an any kind of rice pudding leave alone the old fashioned one. I would have been no good, had you phoned me. It’s great to know your mom rescued the situation LOL. I trust Liz’s judgement, after all she’s my namesake, so I believe it tasted nice. I should give this a go one of these fine days. But I still have the Beef Enchiladas, printed and waiting on my kitchen table. Thanks for sharing and have a wonderful evening! As always your more than welcome. We will have some new treats for you this weekend! 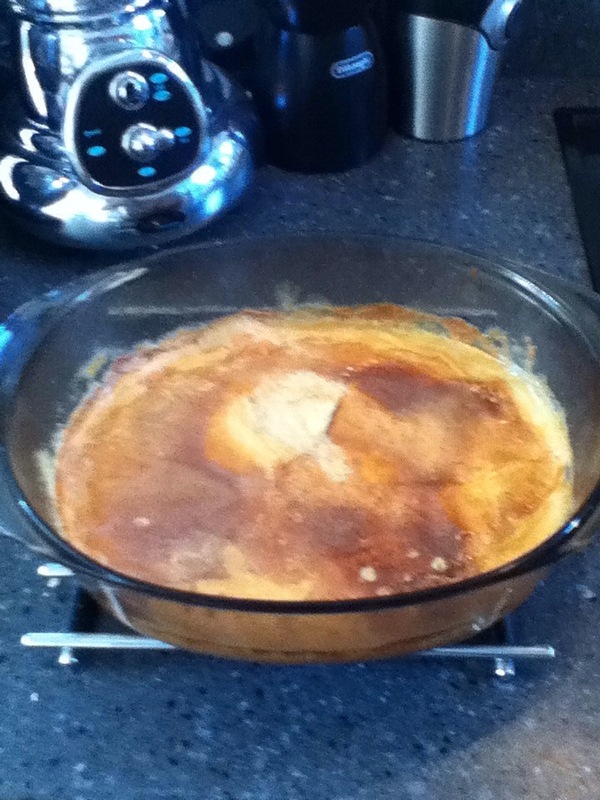 What a beautiful rice pudding! It looks just like the kind my mom used to make. Thank you (and thank your mom, too) for making and posting this. I know what I’m going to be making this weekend. You’re welcome! Hope you enjoy…let us know?